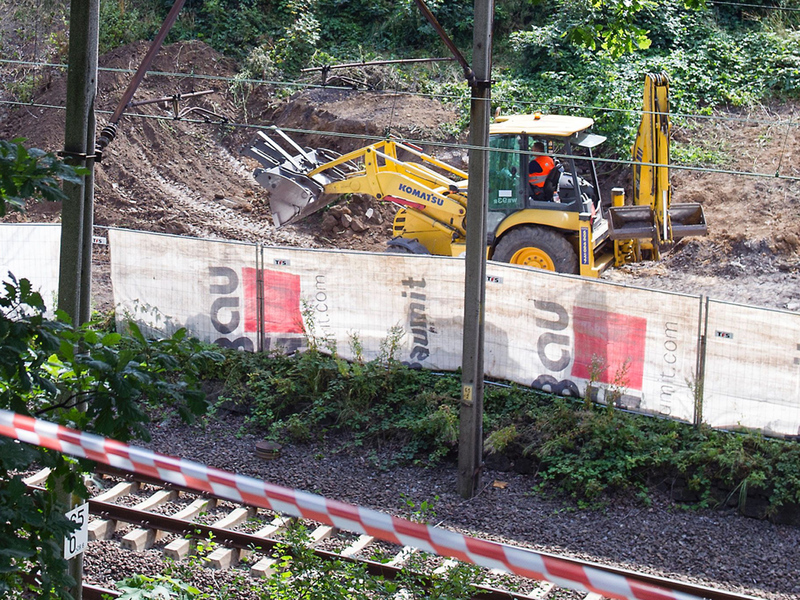 WARSAW, Poland -- Explorers’ great hopes for finding a legendary Nazi “gold train” in Poland appeared dashed Wednesday when, after digging extensively, they admitted they have found “no train, no tunnel” at the site. The legend has sparked a gold rush, drawing in explorers and treasure hunters from across Europe to Poland’s southwestern town of Walbrzych, and prompting local authorities to dream about a great inflow of tourists and money. The local legend says in 1945, the Nazi Germans hid a train laden with gold and valuables in a secret tunnel nearby as they were fleeing the advancing Soviet army at the end of World War II. Last week two explorers - Andreas Richter, a German, and Piotr Koper, a Pole - moved in with heavy equipment and dug deep at a site near rail tracks in Walbrzych, following comments by residents who said they had knowledge of the train’s existence. The dig confirmed findings by experts from a university in Krakow last year who used magnetic equipment but found no trace of train or tunnel, Gaik said. Historians say the existence of the train, which is said to have gone missing in May 1945, never has been conclusively proven. Polish authorities nonetheless have seemed eager to pursue any chance of recovering treasures that have sparked the imaginations of local people for decades. At the height of the frenzy last year, the World Jewish Congress reminded Poland’s authorities that, in the case of a discovery of a treasure-laden train, any valuables belonging to Jews killed in the Holocaust must be returned to their rightful owners or their heirs. Legend holds that an armed train loaded with treasure disappeared after entering a complex of tunnels under the Owl Mountains, a secret project known as “Riese” - or Giant - which the Nazis never finished. The area belonged to Germany at the time, but has been part of Poland since the borders were moved in the postwar settlement. A man credited with being the main living source of the legend is a retired miner, Tadeusz Slowikowski. He heard from a German man in the 1970s of a train that left the German city of Breslau (today Poland’s Wroclaw) in the spring of 1945, as the Soviet army approached. He said the man told him the train disappeared before ever making it to Waldenburg (now Walbrzych) some 45 miles to the west. However, a local historian, Pawel Rodziewicz, told The Associated Press last year that documentation leaves no doubt that gold in Breslau was evacuated to the German central bank in Berlin and elsewhere, so there would have been no reason to take any to Waldenburg, where the approaching Soviets could find it. He thinks it is impossible that a secret railway tunnel could have been built into the hill near railroad tracks in frequent use. No documents have ever been found to indicate such a project was undertaken, while documents exist even for the most top-secret projects of the Third Reich, including some for the subterranean tunnels beneath the Ksiaz Castle in Walbrzych, Rodziewicz argued.